Moving season is upon us. 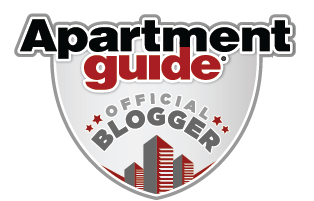 You may recall that I have partnered with Apartment Guide to serve as an Official Apartment Guide Decor Blogger! As an official blogger, I will be sharing articles and ideas for exploring your space, city and style. And this month, because we are heading into the busiest moving time of the year, I wanted to share with you some of the great resources that Apartment Guide has to offer. Moving is a daunting task. Whether this is your first time, or you've done it many times, moving can be very complicated and stressful. Apartment Guide has some great resources that can really help to make moving a bit less stressful. Now I realize that many people who read my blog are not looking for apartments to rent per se. And perhaps those people might feel that Apartment Guide doesn't have much to offer them, but that's not true. Yes, Apartment Guide is a great resource for finding apartments - and I'll get to that in a minute - but they also offer great tips and tools for anyone who is about to make a big move. Apartment Guide offers great articles including a Moving Checklist - which is useful to anyone. And on the Apartment Guide blog, you can find tons of information about different towns throughout the US that include great places to eat and shop etc. 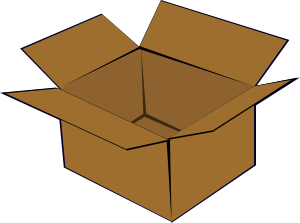 as well as other useful information for anyone planning on moving. Of course, if you are looking for a rental, Apartment Guide is a great place to do that as well. Their website is easy to navigate using the menu options at the top of the page. By clicking on the "Browse Apartments" button, you can easily search for apartments all over the United States. You can look at layouts, check availability and even see a map of where the apartment is located. You can also get community information including local schools and community demographics. I love looking at house layouts, so I had fun checking out layouts of different apartments around where I live. It's a great way to get a feel for a place before you actually look at it. And since more and more of us are using our phones to access the internet, Apartment Guide also offers a free mobile app so that you can check things out on the go. And if you love Twitter as much as I do, you can check out Apartment Guide Twitter conversations by using the hashtag #OfficeHours. So if you are one of the many who is getting ready to move this summer, you might want to check out all the resources that Apartment Guide has to offer. Oh, and have fun packing.